Medical billing and coding specialists have a very important and responsible job but there still seems to be some misunderstanding about the specialized tasks that these professionals have to deal with. 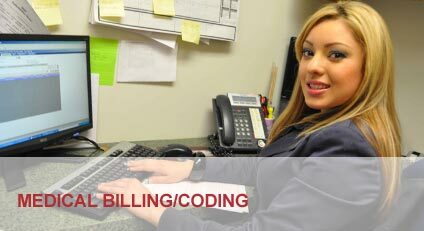 Are you interested in a medical billing or coding career? The following guide will give you a detailed job description that will acquaint you with everything that medical billers and coders are expected to do. Each patient undergoes medical exams, procedures and treatments. Medical offices and hospitals have to work closely with insurance companies to receive payments for the services provided to patients. The medical biller and coder is the professional that keeps track of the procedures, enters data about those and maintains treatment record. This professional will also work with insurance companies for claims related to patient treatments. Numerous codes are used for the purpose of tracking medical procedures. Billers and coders are expected to know these codes and use the most appropriate ones. It’s easy to see that the job of these professionals is connected to numerous responsibilities. They need to have the proper training and some personal skills in order to do a good job. The accuracy of medical records will be essential for the interactions between clinics and insurance companies. Many people don’t realize there are some differences between the jobs of the medical biller and the medical coder. The following section of the article will outline the most important ones. The medical billing professional is the one responsible for entering all of the patient’s clinical data in the facility’s practice management software of preference. All of this information is used for making insurance claims. Each clinic or hospital has to take care of lots of paperwork before a payment for the procedures is received. A medical biller is usually the person responsible for handling that paperwork. The biller has to maintain the data in perfect order, look for specific entries upon request and organize the database. A medical coder, on the other hand, is 100 percent focused on the medical records of patients rather than on general paperwork and database maintenance. The coder works with alphanumeric codes that are used to designate a procedure, an illness or an injury. The use of codes simplifies the task of creating detailed medical records that are free from errors. The medical coder has to be familiar with all of the alphanumeric representations of medical conditions and the medical biller doesn’t. The same person can do both jobs and this is a common practice in numerous medical facilities. Still, it’s possible for hospitals to hire separate individuals to handle medical billing and coding tasks. Why Choose a Career in Medical Billing or Coding? A career in medical billing and coding provides lucrative professional development opportunities, as well as a competitive salary. According to PayScale.com, a certified medical biller and coder earns a median annual salary of 35,686 dollars. The best-paid professionals in this field can expect to earn nearly 45,000 dollars per year. The demand for professionals in the medical field will continue to grow with an expanding population that is also aging. Thus, medical billers and coders can expect workplace stability and a chance to grow in the field. At the same time, the job doesn’t require contact with patients, which makes it great for those interested in the medical field but not necessarily in patient care. Though they have many responsibilities as a part of their job description, medical billers and coders enjoy dynamic development and lucrative salaries. Professionals having experience and qualifications in the field will become more and more in demand, which is why opting for this career path is a great idea.